The historic Daly Waters Pub is in the middle of a 1,000,000 acre cattle station, with the nearest neighbours a six-pack of beer drive away. In between the neighbours and the constant wave of Territory tourists is the famous pub. In the mid-1980’s I quit my surveying career to purchase the Daly Waters Pub in the Northern Territory. It became an adventure of a lifetime and this is my extraordinary story. With my wife Leonie, Max the cat and a few parrots, we drove 2,500km north across Australia in our Combi van to start a new life. Our excitement is contagious and our fears are real. 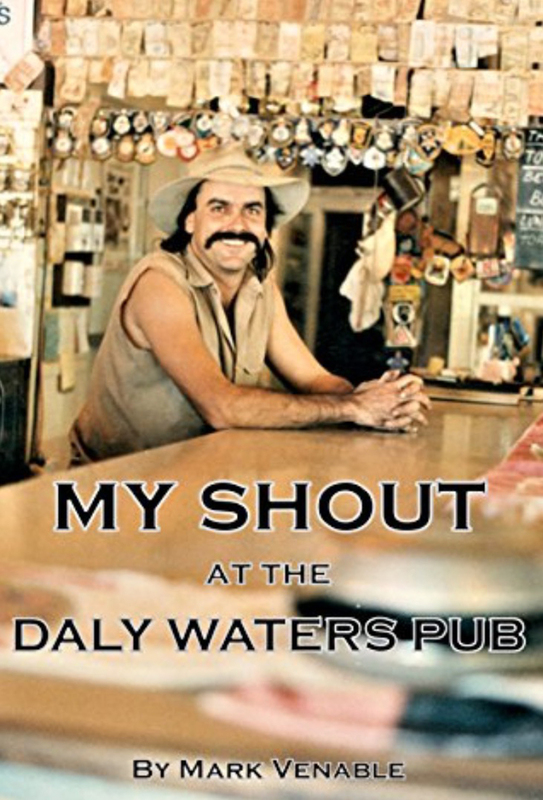 “My Shout at the Daly Waters Pub” gives the reader a fascinating insight into the original pub owners and then my life as the publican, many years later, in a remote Northern Territory town of only six houses, thirteen locals and a bush pub. Many photos accompany the rollicking pub yarns and thought provoking anecdotes describing our experience of living in the outback.